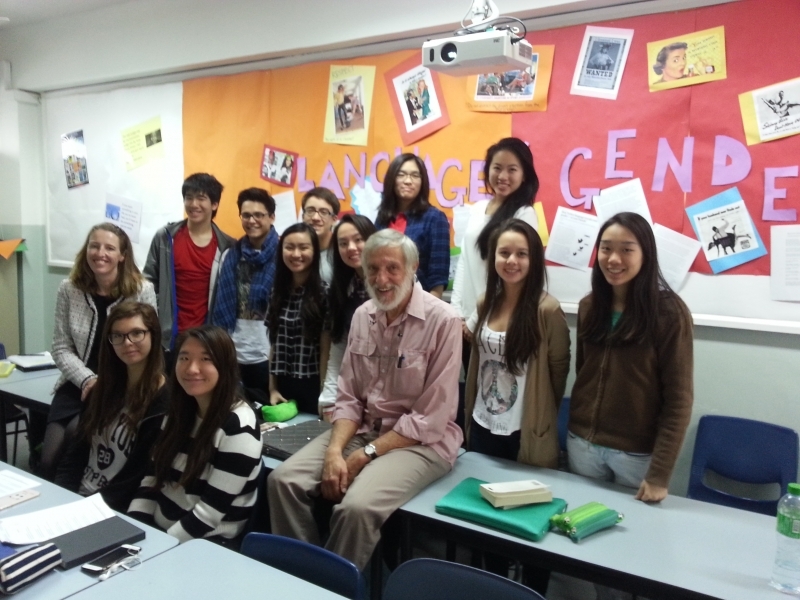 On his second visit to Hong Kong, Holocaust educator Jackie Metzger, of Yad Vashem’s International School for Holocaust Studies, addressed both secondary school students and teachers on themes relevant to Holocaust poetry. Jackie Metzger made aliyah from South Africa in 1965 and has been living on a communal moshav, Neve-Ilan, since 1978. For 24 years, he worked as a History and English teacher in the kibbutz school sector and for the past several years he has been working at Yad Vashem in two departments. He works with adult and youth groups who visit the site and writes materials to help teachers with Holocaust studies in their schools. Here’s Jackie discussing Primo Lev’s poem, “Shema”.